For more than 40 years, LaFevor & Slaughter has served our neighbors in the Knoxville, Tennessee area by providing quality legal services for important issues in their lives. Our decision to maintain a small office and work locally has allowed us to make a deep impact on our community, one satisfied client at a time. Whether you need sound advice on a domestic dispute, reliable counsel on the best way to provide for a vulnerable loved one or aggressive trial advocacy to defeat criminal charges, our Knoxville attorneys stand ready to represent your interests. 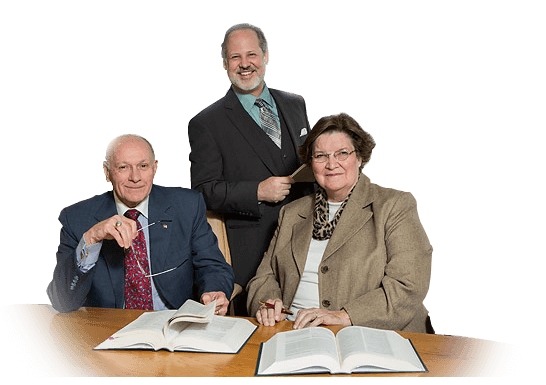 How can a Knoxville family law attorney help? Because two parents who divorce will never stop being connected in some way, we also handle estate planning needs for our clients, to help protect them now and in the future. 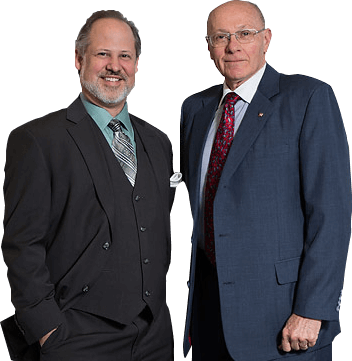 Attorneys James LaFevor is a Vietnam veteran, and as such, we have a particular interest in helping military families through the divorce process. Because military divorces often present with unique circumstances and needs, our attorneys have learned how to help both active and retired duty service people, as well as civilian partners and their children, adjust to their ever changing circumstances, and offer counsel that is innovative and flexible. We are proud to assist active duty and veteran members of the armed forces who have need of skilled and adaptive family law strategies. We understand that there are challenges in military family law cases that do not apply to civilians families, and we offer comprehensive counsel to help servicemen and -.women through the process. Attorney Patrick Slaughter puts his experience in criminal defense to work on behalf of immigrants being held in ICE detention centers, and understands how even in today’s charged atmosphere, there are options out there to help you. Why choose LaFevor & Slaughter? Attorney Jim LaFevor is a prototypical gentle warrior. Admittedly soft-hearted, Jim offers patient, individual attention for clients struggling with the emotional weight of their legal problems. Yet, as a combat veteran of the Vietnam War, Jim knows what it means to fight. As a trial attorney with extensive courtroom experience, Jim gets results. Attorney Patrick Slaughter knows how to speak to judges and juries to help them understand the nuances of your case. Patrick offers a stress-free environment to discuss your needs, and keeps the lines of communication open at all hours of the day and night. 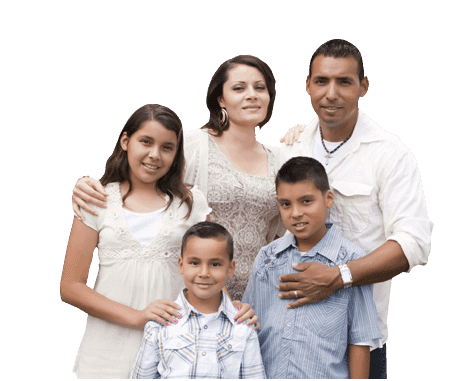 Thorough, meticulous and practical, when you need a Knoxville immigration attorney, Patrick is able to get to the heart of your legal matter, and helps you work through your options for moving forward. Among attorneys in Knoxville, the members of the Law Office of LaFevor & Slaughter have earned the respect of the local judiciary, our clients and the legal and military communities. The office of the Judge Advocate General regularly refers military personnel to our office, where we are pleased to offer a discount on our legal fees for active duty military and law enforcement personnel. At the Law Offices of LaFevor & Slaughter, we offer free initial telephone consultations for clients seeking legal services. When you are looking to work with a Knoxville law firm that handles a breadth of practice areas our attorneys are accessible, and each client receives individualized attention. Though we are compassionate towards our clients, it means nothing if we do not balance that with our determination to win on their behalf. We offer clients a chance to tell their side of the story in a safe and stress-free environment. To schedule an appointment with LaFevor & Slaughter call us at 865.272.4454 or fill out our contact form. See how a Knoxville attorney from our firm can make a difference for you.